Linda's Angels: Extreme Flash Giveaway February 29 - March 2, 2012 Be Sure To Watch For It!! 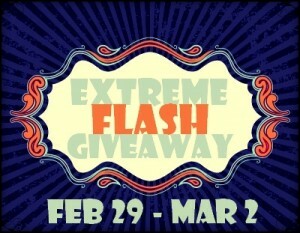 Extreme Flash Giveaway February 29 - March 2, 2012 Be Sure To Watch For It!! Welcome to the Extreme Flash Giveaway! We will be giving away 3 Amazon gift certificates in this flash giveaway -- but you only have 3 days to claim as many entries as possible.